ShelterBox delivers emergency shelter, warmth and dignity to people affected by disaster and is one of our favourite programs. Click on ShelterBox to learn more. Let us know if your group would like to see a ShelterBox: we are happy to demonstrate! 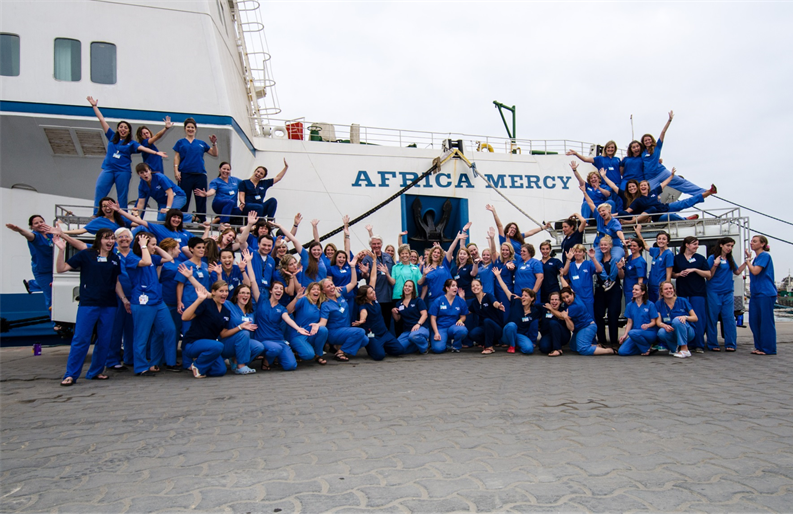 Supporting Mercy Ships has been our primary international focus in 2018-19 with the help of Canberra Hospital nurse, Danniele Hunter. We have fund raised for Mercy Ships and and assisted Danniele to volunteer. In return, Danniele has spoken at several of our events. Mercy Ships is one of the great stories of our time. Look here for more information. 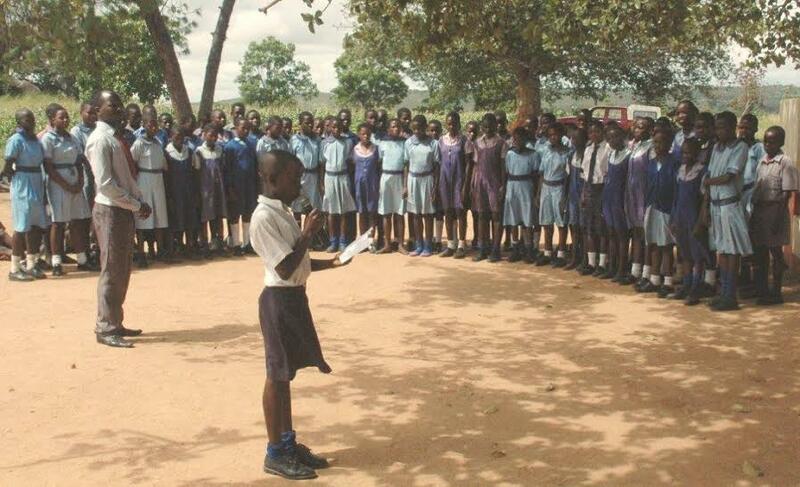 Woden Daybreak has partnered with the Rotary Club of Harare Dawn to assist a rural school in Zimbabwe to implement a literacy program specifically designed for Zimbabwean students. Parents, teachers and the community are strongly supporting the program. Woden Daybreak has also provided funding to set up a second bore hole for the school and community, to ensure an adequate supply of clean water. The photo shows community celebrations on the day the bore hole was commissioned. ROMAC brings children to Australia and New Zealand from the Asia-Pacific region for medical treatment they can't obtain at home. 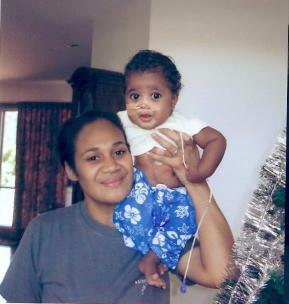 We supported a little boy from the Solomon Islands and his mother for many months while he had treatment in Canberra. Read more at ROMAC. 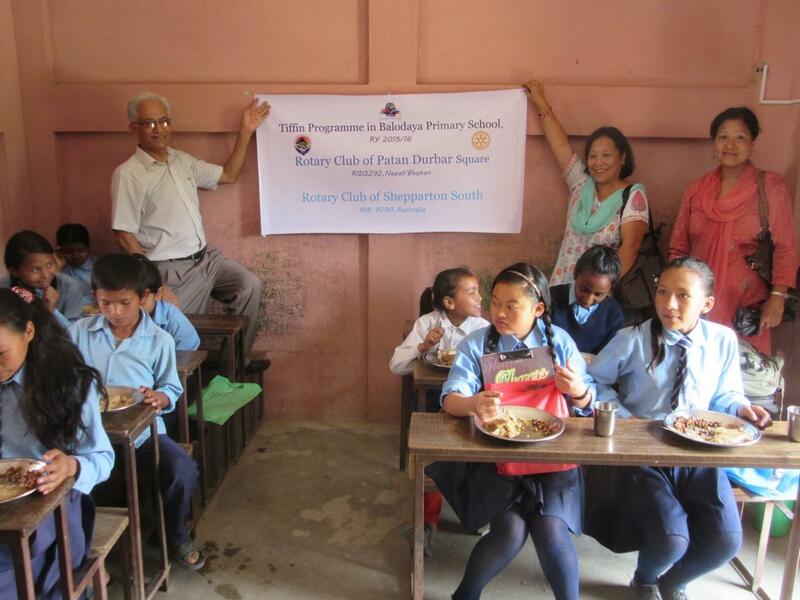 We contributed to the 'tiffin' project instigated by the South Shepparton Rotary Club, which encourages parents to send their children back to a school in rural Nepal by providing nutritious lunches for the children each day. We were keen supporters of inspirational Canberrans Matt and Wendy Napier as they undertook their 2017 poverty awareness Walk to a Better World the length of Namibia. We look forward to their new projects in Namibia and we support their fundraising.